One full week after my first fall fashion post and typical seasonal weather has yet to make its debut here in Florida. We’ve got highs in the 90’s and wicked afternoon thunderstorms that are keeping the humidity right at 100%. Lovely, isn’t it? However, have no fear. I bring to you today another fall fashion idea that you can use to jedi mind trick yourself into feeling temperatures in the 60’s. 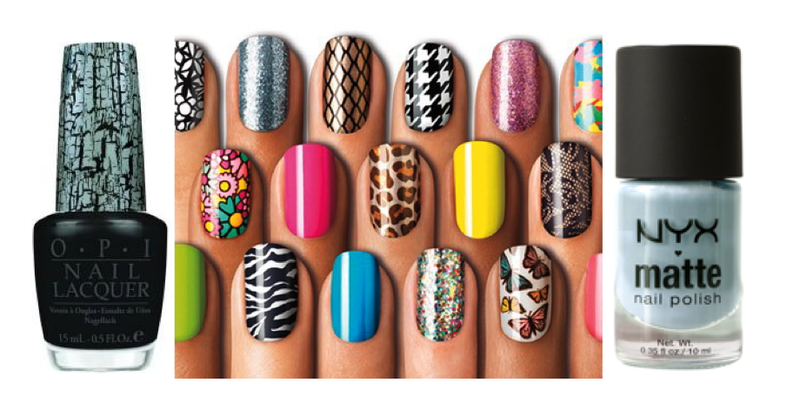 Two words: nail polish. There’s just something about the color of your nails that can set the seasons in motion. Brights for spring & summer, sparkles & candy cane red for winter, and warm, jewel tones and falling leaves for autumn. They set the mood and tell a story. My first encounter with fall nail polish this year was at my favorite local salon where I saw their display for OPI’s “Touring America” collection. It is simply divine. Dark navy’s. Deep olive’s. Dusty gray’s and pops of Maine lobster and Alaskan salmon. 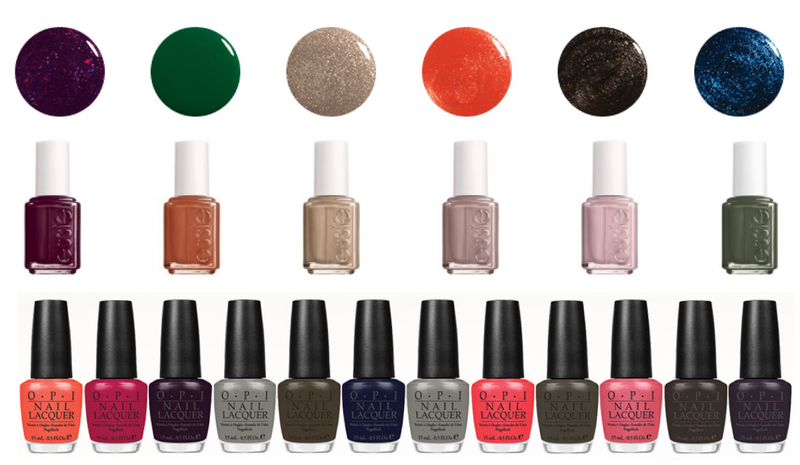 Next, I saw a feature in InStyle Magazine on Essie’s fall 2011 collection inspired by Duchess Catherine’s handbags. So much leather and luxury. No matter how you slice it, this fall is all about rich, warm hues. Even the oranges and champagnes give the feel of sitting by a crackling hearth. And if you’re looking for even more excitement, check out the trends highlighted below. Thanks to the ingenuity of our friends in the beauty bizz, you can give your nails a matte finish, a crackled veneer, or even a miniature wall papering. Imagine the possibilities and get lost in the hope that fall will find us sooner or later!